Uploading video to blog is made easy by blogger by selecting small video icon on editor. Step 2: Select the blog for which you want to add video in new post from the dashboard. 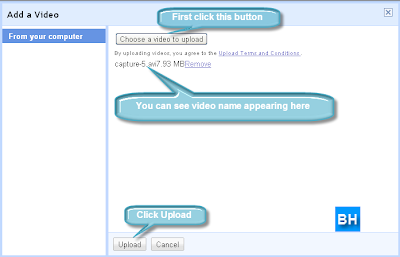 Step 4: You will be taken to add a video page and then select choose video to upload from computer and then click upload button. Step 5: After that add the selected video to your blog and publish post. That's it! You successfully uploaded video to your blog. 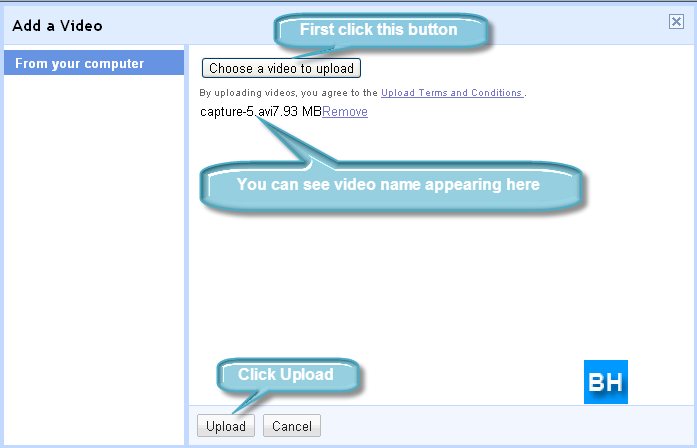 If you have any doubts about this "How to Upload Video to Blogger Blog", please don't hesitate to comment.